Today is the first time in months that I looked into the mirror and actually recognized the person looking back at me. I am starting to look like my old self; no more chipmunk cheeks or moon face. My face is waning—such a relief. I even said “Why, hello there” out loud to myself. Lupus really messes with you—in many ways. Everyday my cells go to battle. My immune system is constantly warring with my healthy cells. Lupus has brainwashed my immune system into believing that my healthy cells are the bad guys. To assist in this battle, I have had to send in reinforcements in the form of high dosages of steroids. The drugs I take help to keep my lupus symptoms under control. But the drugs also have side effects–many unfortunately. One of the more visible side effects of corticosteroids is the big puffy moon face–a cushingoid appearance. This drastic change can be very distressing to one’s psyche. It was to mine. I believe the first time I learned about the dreaded moon face was when I was first diagnosed. I did a few searches online about lupus, and I came across fellow-lupies’ struggles with the disease, and the term “moon face” came up. I learned it was caused by steroids, but I didn’t think more of it at that point. It wasn’t until about a month after my first severe flare hospitalization that I got to know the moon face personally. My face started to lose its original shape a few weeks after I got out of the hospital; the high doses of prednisone was finally catching up and parking itself on the cheeks of my face. My cheeks puffed even more as the months progressed even though I had begun tapering off of the prednisone. I knew it was affecting me. I didn’t like looking at myself in the mirror. 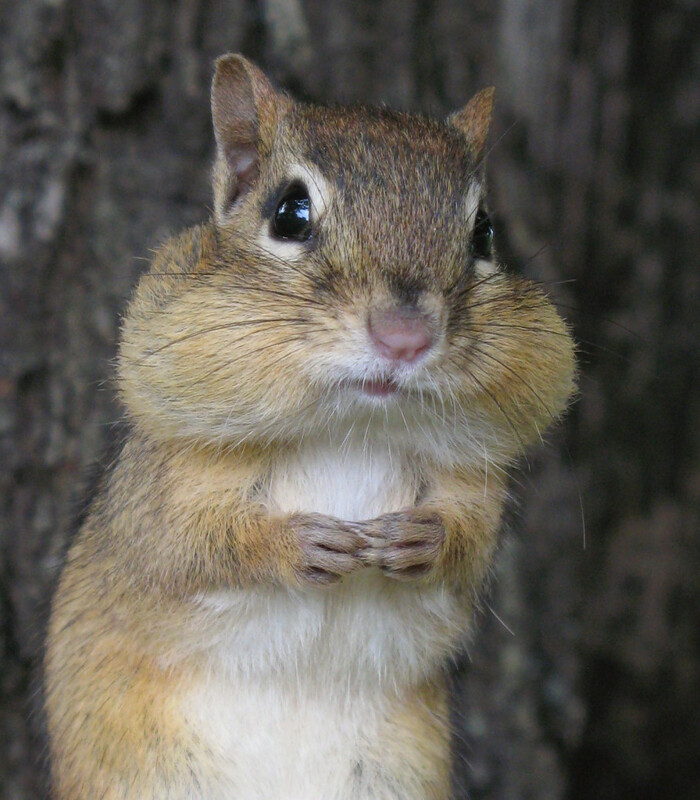 Mega chipmunk cheeks. What could I do? I mentioned it to my doctors who said it would eventually go away as my prednisone dosage lowered. The tapering was a slow process. The waiting was a hard go. I find some comfort in learning that I am not alone in this troubling experience. A study published in Rheumatology, “The man-in-the-moon face: a qualitative study of body image, self-image and medication use in systemic lupus erythematosus”, examined the effects between S.L.E. patients’ concepts of self-image, use of medication, and compliance with its use. The study also examined the quality of communication between patient and physician regarding the appearance altering side effects of said medication. The study’s participants desired their health care providers to “understand the psychosocial difficulties and pressures they faced” when it came to treatment decisions. The patients in the study noted that very few of their doctors acknowledged their distress or concern associated with the visible changes and resulting psychological impact due to the drugs. Like the study participants, I would have appreciated a deeper discussion with my doctors about what the drugs were going to do to my outward body and my inner self. Yes, I had read about the moon face before, but it was one of MANY things I had read that could happen to lupus patients. So much pressure and anxiety would have been lifted if my doctor would have discussed the possible appearance changes I would be going through with me and my husband. Afterall, we were the two people who would be living with it every. single. day. Plus, I think my husband would have been better prepared to give visiting friends and family a warning and explanation to my condition and change of appearance. I can’t express the relief I felt when I saw my “old” self again. I look back at photos of myself during my phases of the moon. I find it difficult to look at the photos. Who was that? At the same time, I also look at the people in the photos with me. No one ever commented on my changed appearance. Everyone was kind. It was only after I had started to shrink back to size that some of my cousins mentioned how bad I had looked in those months after the hospital. It didn’t bother me. If anything, in a weird way, because I don’t usually look sick (even though I always am) the chipmunk cheeks sort of helped others understand that I was sick and in flare-recovery mode. Even so, I don’t want to have to go through any of that again. But if I do, I at least have an understanding of how my body will respond to it. My friends and family will also have a heads up of how I might physically change as a result. But even though we know what will happen, I think we will all benefit from a reminder discussion with my friends/family and yes, even my doctors about the drug’s side effects. I will most likely have to initiate the conversation with my doctors and ask them to review the side effects of the drug with both me and my husband. I will then also share the psychological toll the moon face had on me the last time. I am looking for support and sympathy from my team of professionals. It is important for me and my spouse to hear these things from the professionals, and I want them to listen to me, to really hear me. It matters. It matters because how you feel emotionally plays a role on your healing and overall health. So, if you are on prednisone and it has caused your face to morph into a celestial body, know that you are not alone. We feel you; it can be depressing. It can be very hard but try to keep in mind that as the prednisone gets lowered, the puffiness does go away, eventually. Reach out to others who are going through or who have gone through the same thing. Support groups, in person or online, can be very helpful. And it can get tiring, but we do have to be our own advocates when it comes to our health care. Open the discussion with your doctor. Let him/her know your concerns and how you are feeling. You matter. And if you know someone who is having to deal with donning a moon face, be there for him/her. Seriously, it is bad enough to have a chronic illness that affects your sense of identity but then on top of that you also have to deal with changes to your sense of self-image as well can just be too much. It can be devastating. Look out for them. Some patients isolate themselves often times before going into a depression. And I think it is worth noting that humor should not be an option when comes to the way someone looks. You might joke about our pumpkin head, we might laugh, but we’re really just trying to hold it together on the inside. Choose kindness and love. And just to clarify, I am all for humor when it is not at the expense of the patient. The good kind of humor can aid in the healing process. If you do have a moon face, try your best to keep smiling. Your face may alter, but your smile, your smile doesn’t go away if you don’t let it. Everyone will always be able to recognize your smile. Even you. Have you had to deal with having a moon face because of prednisone? What helped you get through that period? Have you had a conversation with your doctor about this side effect and how it made you feel? What was the result? Ugh…I’ve been fortunate to avoid prednisone for a while now (knock on wood!). But I do remember…boy do I remember. Thanks for sharing your journey. And please, don’t make too much fun of me–I finally put together “moons and spoons.” So clever.of you. So dense of me. Thanks for stopping by and sharing your thoughts. Ha ha! You are very clever and a great writer. But I am glad that my blog name made the connection. Take care! I had a longer ohase with high dosed cortison,during my “treatment” for colitis. it was very bad and i couldnt look at myself either, noone had told me that would happen. it did help a bit but along with all the other side effects im not sure if it was worth it. but it took only maybe 2 weeks to appear but one year to be gone. i was at hospital they couldnt find out what i had ,however taking azathioprine then hence cortison wouldnt help me in low doses at all, i had CMV and unsure how close to death i was with constantly high fever just getting pumped in all antiobiothics that existed,probably making the bowel even worse. well hence i had water in my lung, i got dewatering tablettes, they make you feel incredible awful but i also got rid of that face. after years, end of story, i tried all medications existing and nothing helped me,it just got worse and worse and i was rsther close to starving ,now i have no bowel anymore. Ronja, thank you for sharing your experience. What a difficult and hard journey. Sending you light and healing. Thank you for your post. My Doctor did advise me of moon face as a potential factor – and man did I get it. I hate it. But I was prepared (as much as you can be prepared for this) and agreed that there was no other option than this treatment. I look forward to seeing me in the mirror sometime in the next months. I try to warn people that I look different if I haven’t seen them in a while… giving them a chance to school their face and to not blurt something unfortunate out (I’ve had a few of those) helps both of us out of a bad situation. Thank you for sharing Cara! I am glad your doctor talked with you about the possible moon face. I hope you are feeling better at this moment. made me smile and gave me hope. smile doesn’t go away if you don’t let it. fine and A Ok now! Christina, you are so kind. Thank you for your comment. I pray you are in a better place at this moment. As for me, I AM doing much better, thank you. Keep smiling! Lisa, thank you for sharing your experience. It is such a struggle. The moon face does go away, but the length of time it does varies per individual. I hope you are doing better. Sending you healing and light. Hang in there C. I know it is hard. I am glad that you are on track towards decreasing the dosage. Thanks for sharing your experience. Thanks so much for sharing this! You are so right. We have to keep a sense of humor about it. I was just diagnosed with lupus in April and had to go on my first high dose of Prednisone. 125mg IV today and then will be taking it for a month and tapering off. Do you think I will get it? I’m a little vain still but I plan to just laugh it off since there’s nothing else to be done! I just got off prednisone 2 days ago after being on it for 1.5 years! The moon face shattered my confidence. The first time I was ever put on prednisone, the moon face went away as I kept lowering the dose. But this time around I feel like it just keeps getting bigger. I don’t understand because both times I started with 60mg. I eat pretty clean and exercise regularly. I just need this moon face to go away so I can be my confident self again. I am on a new medication(myrbetriq) which was started in August for my over active bladder. I don’t even recognize my face in the mirror anymore. I have developed the moon face and put on considerable weight. I am now having to look at stopping the medication and going back to enduring the pain and over active bladder / interstitial cystitis. It is a tough decision for me. Without the medication it affected every aspect of my life: I wasn’t able to go out, participate in life/ everyday activities. On the medication I can participate in life but I have to accept the side effects (moon face, weight gain). It is such a tough decision for me because: I don’t like what I see in the mirror, I don’t recognize myself, I am embarrassed. I look like I have put on 50 pounds and I know that is impossible with what I eat. Anyone know of any tricks or other medication that is effective for interstitial cystitis/over active bladder without the side effect of moon face, weight gain. Hello. I was on 60 mgs for 6 months and then tapered down for a couple months. I still have a moon face a year later 🙁 will it ever go away? Does anyone know how you can get rid of it? 🙁 I feel as if it is permanent now and I don’t even recognize myself. I’ve lost 30 of the 40 lbs I gained from it. But my face and stomach are still so swollen. My moon face is starting to taper off, but now my face is splotchy red and dry. It is hard to cover up with makeup and the cracks around my mouth make it hard to smile. Does anyone know if this is normal in the healing process? Hi Kitty, my face would get dry and certain parts get red when I am in a flare. I am not sure if the prednisone contributed. I found using oil cleansers helped my skin quite a bit. Thank you for your response. I ended up having to go to a dermatologist for help. The hydrocortisone cream he prescribed helped me out. I’m slowly beginning to taper off of prednisone. I started at 50mg daily, and am now going down 5mg every two weeks… reading this felt like someone had taken my thoughts and written them out. I hate looking in the mirror, going out in public. I don’t feel like myself, I’m 21, I feel like I should be enjoying my life but I can’t because I have no confidence.. reading this made me feel a lot better. I Can’t wait to be done with these meds. Hi Lana, it takes me about a month before I notice any difference. It is such a drag. I don’t have any science behind it, but I would try drinking water (staying properly hydrated) and walking daily to help flush the moon face away.